The perfect little Italian place you have been dreaming of. This intimate, cozy restaurant may be little, but it still has a lot to offer. It is definitely a hidden gem in the Ohio City area. Most people venture to this neighborhood for the great bars and the West Side Market. 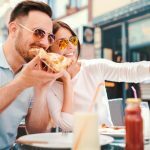 Take a little adventure further into the area and get ready for some of the best local Italian in town. Locals look to the “Pollo Alla Parmigiana” (Breaded chicken cutlet baked and topped with provolone cheese), “Homemade Gnocchi” (Served with Bruno’s blush sauce), and the “Vitello Alla Parmigiana” (Breaded veal cutlet baked and topped with provolone cheese) for a great meal full of comfort food and fun conversation. 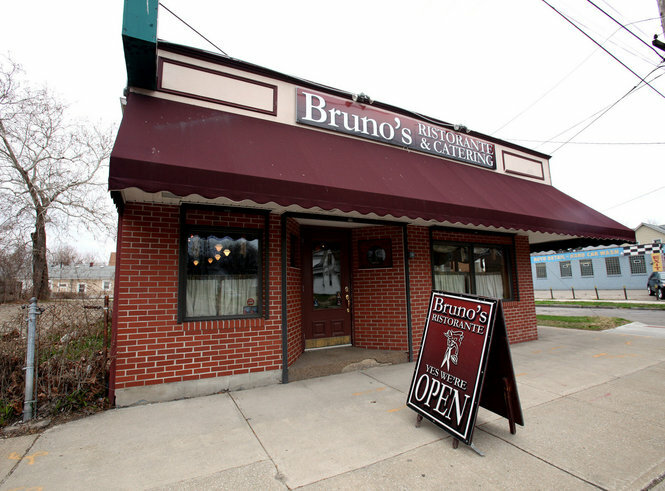 There is no such thing as small portions at Bruno’s. Even the appetizers are large and scrumptious. Fan-favorite apps include the “Calamari Al Sougo” (Calamari‎ sauteed in a light marinara), the “Cozze Al Forno” (Baked mussels on the half shell) and of course the “Bruschetta” (Grilled ciabatta bread topped with our house tomato onion marinade)! Another great part of all of these dishes and the rest of the appetizer menu is that they are all $10 and under. Speaking of prices, then entire menu is pretty affordable. Even chicken dishes typically run around $17. Other entrees like the “Vitello Alla Parmigiana (Veal Parmigiano)” (Breaded veal cutlet baked and topped with provolone cheese) for $18, the “Melanzane Lasagna” (Hand breaded eggplant layered with romano & provolone cheese and finished in our homemade blush sauce) also for $18. Is there a better way to end a great meal than with coffee and a tiramisu? The dessert selection is divine and includes sweet treats like the cheesecake, cannoli, the “Limoncello Cake” (Three layers of moist, luscious pound cake with a big splash of lemon filling and whipped cream), and the “Chocolate Decadence Cake” (A double layer cake is made with the finest dark chocolate). Inside the quaint restaurant, there is beautiful decor making it the perfect date spot. It’s cozy and quiet due to the limited number of tables. This would also be a decent place to go with friends, but a reservation is definitely recommended.The interior has an old, classic charm that will add that extra something to your entire experience. Another highlight is the kindness of the restaurant staff. Regulars have said that the staff is very knowledgeable of both the food and drink menus so that they can help you find the perfect meal for you and your party. Overall, this charming little spot offers some of the best Italian food in the city. Complete with a full bar and educated wait staff all in the trendy Ohio City neighborhood. Come in for a traditional Italian lunch (see more here) or dinner (or even just dessert!) and have a fantastic evening. Stop in at the Ohio City location at 2100 Superior Viaduct Cleveland, OH 44113. Call the restaurant at: (216) 862-2761 or visit their website. See more Italian Restaurants Cleveland Ohio.